Local and sustainable foods, succulent lobster and fresh seafood are prepared in various cuisines from a myriad of small chef-owned restaurants near our Rockland, Maine bed and breakfast that create a vibrant food scene that rivals much larger cities. According to the Rock Coast Maine restaurant guide, this area has more restaurants per capita than any other location in the US. Additionally, Rockland was named one of the Top Nine Best Small Cities for Food by TheDailyMeal.com in 2012 and is the self-proclaimed lobster capital of the world. This area is a must stay for foodies, locavores and just people who enjoy good food. Enjoy incredible Rockland restaurants during your visit to Midcoast Maine! The Rockland and Camden area of Midcoast Maine supposedly has the highest number of restaurants per capita in the US. The area has an amazing number of really good to great restaurants all which serve some type of seafood and include cuisines such as Italian, Mediterranean, Japanese, Indian, Mexican, Southwest, Thai, American and of course lobster – succulent, juicy and fresh from the ocean! Most of our restaurants are relatively small, chef-owned and operated and pride themselves on serving fresh, local and seasonal foods. In 2012, thedailymeal.com named Rockland (pop. 7600) as one of the top nine best small towns for food with a small town being defined as less than 350,000 people! Sample menus are available in the menu book at the inn or you can check them out online from the links below. Of course your innkeepers will gladly help you find the right restaurant for your budget, taste and the perfect ambiance from an AAA Four-Diamond award winning establishment to a lobster shack on the water! With over twenty restaurants in Rockland’s downtown alone and many more in the surrounding area we can’t mention them all. Some of our local favorites are listed below but the Rock Coast Maine restaurant guide is also a good source. Primo is considered one of the best restaurants in Maine for people that truly enjoy an epicurean dining experience in a relaxed and definitely Maine atmosphere. Melissa Kelly, co-owner and chef, is the first chef to win two James Beard Best Chef of the Northeast awards with the most recent being in 2013. Primo was named as one of the top ten best farm to table restaurants in the US. The chef, Melissa Kelly, has been recognized as one of the top 20 chefs influencing today’s restaurants and food scene. The restaurant grows most of their own herbs and greens; raises their own heirloom pigs and chickens; and was listed by Bon Appetite as the 2008 Top Eco-Friendly Restaurant in the United States. The menu changes nightly depending on what is fresh and includes seafood, fish, pasta and their specialty Pork Saltimbocca. Open for dinner service only May through January – schedule varies by season but always closed on Tuesdays. Upstairs in the “Tavern” section of the restaurant they serve small plates and the full regular menu and no reservations are required. Advanced Reservations Required for a table in the dining room. Primo closes for the winter season early in January and reopens in May. Ask about our special “Garden Tour and Dinner” package available specific dates July through September. Chef-owner Melody Wolferitz, a CIA graduate, and staff have created a charming, comfortable atmosphere to enjoy a great selection of wines and also small plates of salads, appetizers, cheese boards and entrees. Wonderful place to go when you just want to nosh with wine, food and friends. Certain Thursdays in the winter months she offers food and wine from around the world with a different country featured each week. Open Year Round. Schedule varies by season. Dinner service begins at 4:30pm until close. No reservations taken. “We Don’t Serve the Food of Cowards” is the motto of this eclectic small bistro. Chef-owner, Kerry Altiero was crowned 2012 Maine Lobster Chef of the year and 2013 Farm-to-Table winner at Harvest on the Harbor. He offers lobster specials in season and his lobster mac ‘n cheese is a favorite. The 7-page menu is filled with appetizers and entrees that range from Italian, Thai, Mexican, Armenian, and the all American burger, dogs and pizza all cooked in the wood fired brick oven! We recommend “grazing” on assorted appetizers so you don’t limit your choice to one item. Don’t miss the “Elvis” bathroom! Open year round, seven days a week for dinner. Advanced Reservations strongly suggested. This casual Italian restaurant touts itself as “Rockland’s Premiere Downtown Italian Restaurant”. Its menu offers pizza, panini, pasta, fabulous mussels, sandwiches and lip smacking desserts. It is a very comfortable atmosphere and serves good food at a very reasonable price. Open year round for dinner, Tuesday through Saturday. No reservations except for special holidays – Valentine’s Day, Mother’s Day and New Year’s Day and for parties of 5 or more. Service starts at 5pm. Chef owner Keiko Suzuki serves sushi and other Japanese specialties with the perfect balance of presentation and taste. She was nominated for a James Beard Award in 2019, 2018, 2017 and 2016 and was named by Maine Magazine as one of Maine’s top chefs. “Simple elegance” is how she describes her food. If you love sushi then don’t miss Suzuki’s as it is considered to be some of the best sushi and Japanese cuisine in the US. Open year round for dinner service Tuesday through Saturday (Summer) and Wednesday through Saturday (after Labor Day until Summer). Reservations strongly suggested. One Park Street at the Trade Winds, Rockland 207-596-6661 Ext. 606. This marks the first time ever that we have recommended the restaurant at this location, but it is definitely now worthy of our stamp of approval! They serve whole lobster dinners year round and have a nice selection of entrees for the non-lobster person – almond crusted chicken, crab cakes, ribs, steaks, salads, etc.. They also offer a “soup sampler” and their lobster bisque is a guest favorite. During the quieter season they have introduced “Meatball Mondays” where you can get a spaghetti and meatball dinner with salad for $12. Open year round serving lunch in the summer and dinner only otherwise. Closed Sunday, Tuesday, and Wednesday nights during Locals’ season. Reservations preferred. Waterfront dining in Rockland Harbor. Under new ownership since April, 2013. Menu is steak, lobster, seafood, pretty straight forward fare and then there are daily specials where the chef gets to have some fun and upscale things. Casual atmosphere, great views. Open 7 days in season for lunch and dinner. Closed December – March. A hip and happening gastro pub and cafe with smaller plates with focus on southwestern inspired comfort food, great desserts, upscale cocktails, nice selection of craft beers and some entertainment. The duck nachos and duck wings are a guest favorite. They often show old silent movies on the back wall. Trendy-casual. Open 6 days a week – closed Tuesdays. Open Year Round. Under new management since the summer of 2016 and it seems they are finally getting it right – casual seafood, casual decor, casual prices, pretty active bar scene and killer view! Featuring good, casual seafood, lobster, oyster bar, steak, salads, lobster bites and other seafood fried or broiled. Seasonal- June to through October, 2018. Open 11am to 9pm Tuesday through Monday (closed Tuesdays). Archer’s on the Pier opened Spring 2011. It’s predominately seafood menu includes fresh lobster daily – steamed or sauteed as “lazy man’s lobster”. They also serve both fried, baked and broiled seafood favorites, burgers, pastas and salads. Lynn Archer, the owner, also owns the Brass Compass Restaurant so the “King of Club” sandwich is also served at Archers. Unbelievable views, great sunsets and very casual atmosphere. No reservations needed. Schedule will vary throughout the year but generally 7 days for lunch and dinner in season. Casual restaurant open for breakfast and lunch. Well known for it’s “King of Club” lobster club sandwich that was matched in a Throwdown with Bobby Flay on the Food Network. Great local feel, generous servings. No reservations needed. Serving breakfast and lunch and limited dinners (Wednesday – Saturday). The Home Kitchen Cafe specializes in fresh, local and organic food and has been recognized as one of the top breakfast spots in Maine. It is one of the ONLY places in Rockland that serves breakfast all day. Known for its homemade cinnamon buns, lobster tacos and breakfast burritos. Open Wednesday – Monday (closed Tuesday) from 7-3pm. Associated with the Home Kitchen Cafe is their bakery -Home Sweet Home Bakery features homemade breads, pies, pastries and other yummy desserts. The bakery is located at 606 Main Street, Rockland. This is our version of the local diner and it is where the locals eat. Menu features fried seafood, homemade fish cakes, lobster, subs, soups, salads and burgers. They have one of the best prices on single, double or triple lobster dinners. The owners’ homemade seafood chowder (gluten free) is loaded with seafood and has no potatoes or onions – just seafood! Open year round for breakfast, lunch and dinner. A fun and casual place to dine. Their motto is “where the Southwest meets the Northeast”. They serve burgers, salads, chicken, ribs, steaks, Southwest specialties and wonderful margaritas! Generally open year round for lunch and dinner (winter not open for lunch some days and closed Mondays). No reservations needed. A local gathering place with a casual atmosphere and menu. They have a great selection of micro-beers on tap and are Rockland’s only brew pub. They offer Trivia nights, open mic night and other entertainment most nights in season. Open year round for lunch and dinner. No reservations needed. A casual pub that will always have the game on! We think of this as our version of the “local Cheers Bar” as it feels like everyone knows everyone. They serve chili, chowders, salads, seafood, burgers and sandwiches. In the summer enjoy dining on the deck. Open Year Round, seven days for lunch and dinner. This new restaurant opened July 2016 in Rockland and features an eclectic assortment of items that change daily. This winter the restaurant will be featuring a menu of Mexican food. The chef has been around the area and this is his first venture with his own restaurant. Reservations recommended. Open Tuesday through Saturday from 5-9 for dinner. Small family owned and operated casual restaurant that opened late in the summer of 2014. Primarily seafood and lobster but also steak, salad and chicken dishes for the non-seafood lover. In the summer, enjoy the outside deck with ocean views. Closed January through April. Serves lunch and dinner. New to Rockland’s Main Street as of November, 2017, Ada’s Kitchen has pizza and pasta on offer as well as an expansive cocktail, beer, and wine menu. Watch out lobsters! Oysters are on the scene. Grown in the cold Maine waters, the midcoast area is farming a wide variety of the bivalves. And you can enjoy a selection at North Beacon Oyster along with a changing menu featuring fresh seafood. Dinner reservations accepted. In the spirit of Italy’s traditional trattorias, La Bella Vita is a wonderful restaurant for special celebrations. Seasonal outside dining. Dinner reservations required. A few years ago Rockport welcomed a restaurant created in the tradition of a Mediterranean trattoria. Menu changes weekly. Open for dinner 5:30-9, Weds – Sat. Chef Sara Jenkins also offers cooking classes. New to Rockport is a restaurant featuring locally sourced seafood including oysters from midcoast Maine. Opens for dinner at 5:00, Thurs. – Mon. Menu is “home cooked” Asian cuisine -authentic, high quality, homemade and delicious. Long Grain offers classics of Thai cuisine with Korean, Vietnamese and Japanese flavors traditions. The place is tiny with only about 10 tables so reservations are absolutely needed especially after Chef Ravin Nakjaroen’s James Beard Chef of the Northeast 2017 and 2018 nominations. Open for lunch (11:30-3) and dinner (4:30-9) Tuesday through Saturday. Open year round. A small, unpretentious restaurant tucked away in downtown Camden, Fresh’s menu is committed to honoring those that raise, grow, and catch what they serve. Open March through October for dinner 5-9pm. The SeaDog Brewery Company returned to Camden in the summer of 2016. Menu is casual burgers, seafood, sandwiches, crab cakes and lobster. Open 11am – 12:30am 7 days a week. This Italian bistro’s motto is “Made from scratch, by hand, for you.” You’ll enjoy traditional food and their modern cocktails and craft beers. Open year round, 5-9pm, closed Tuesdays. You’ll enjoy steaks, fresh seafood, burgers, pasta, and an incredible view of the picturesque Camden harbor. Open mid-March through December, 5-9pm. Reservations accepted. Conte’s Restaurant – John Conte closed his restaurant in Rockland in 2015 and was cooking in Spruce Head and then Belfast for a time. We will update our site when we know where he will be serving up his signature style next. Scott Yakovenko, formerly of the original Dip Net in Port Clyde, has finally landed again in a permanent location. The menu features old Dip Net favorites like Scott’s bouillabaisse, Oyster Po Boy, Monk nuggets, lobster and other fresh seafood and homemade pies and desserts. The restaurant’s trademark focus is of an authentic Maine waterfront experience using organic, locally grown and fresh ingredients. Hours will vary. Closes sometime in October until spring. This is already a local favorite. A classic Maine family style seafood restaurant overlooking beautiful Camden Harbor. This is the place where the locals eat and people from away, too! They are self-described as “not spectacular, dazzling, or brilliant but our food is good, healthy and easy to eat”. Fare includes lobster year round (steamed and lazy man style), seafood, salads and steak. Dockside dining in the summer. Open year round, seven days a week from 11:30am to 9pm. Full bar and credit cards. These are fabulous places to go and dine if “lobster in the rough” is what you are looking for. Typically these places will open late May to mid-June and close anytime from Labor Day to Columbus Day. Many of them only offer outdoor seating, some have beer and wine licenses, others you can bring your own. Most will close between 7-8 pm nightly. Named by Yankee Magazine as “best hidden lobster pound” in 2015, this is a favorite for many of our guests as the location and the drive to this island location represents quintessential Maine! Enjoy super fresh lobster dinners, lobster or crabmeat rolls, roasted clams, burgers or hot dogs on the shores of Spruce Head Island while watching the lobstermen unload their daily catch at one of the oldest working lobster wharfs in the area. Enjoy outdoor seating or under cover in bad weather. BYOB. Open Memorial Day through Columbus Day, seven days a week from 11am to 7pm. 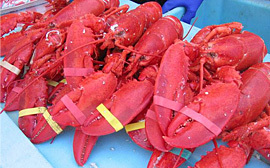 Offering “lobster in the rough” and a view of Penobscot Bay right on Main Street! Seasonal shack with dining on the patio for protection in the bad weather. They are open seven days a week from 11am to 9pm – rain or shine. Menu of course has lobsters, lobster rolls, lobster bisque, seafood chowder, crab rolls, shrimp rolls, salads and burgers for the non-seafood lover. Open mid-June through Labor Day, lunch and dinner daily from 11-7pm. Beer and Wine license. Outdoor dining on picnic tables surrounded by the beautiful waters of Spruce Head Harbor. Fare is lobsters (all sizes), lobster and crab rolls, steamers, and hot dogs. Open year round. Small dining inside (minimal heat in winter), outside dining with paper plates, picnic tables, and stunning views of Penobscot Bay. Pick your lobster from the tank (many sizes available) to eat in or take out (will pack to ship). Rockland Maine Foodie Tours These regional tours came to Rockland in 2015. They operate June through October. They are 3 hours and make about 6 different stops. You learn all about Rockland’s rich history and what has made it a premiere “foodie” stop in Maine. Lots of fun and great food! Book online by 8am of the day of the tour. FIORE Artisan Olive Oils & Vinegars tasting room is a favorite stop for our guests. The tasting room offers a wide selection of ultra premium extra virgin olive oil from around the world and aged traditional style balsamic vinegars from Modena, Italy. Customers can taste samplings of over 14 different oils and 29 different vinegars and an unlimited number of combinations to find the perfect one for you. The shop also has specialty foods, accessories, cruets and gift boxes. Open 7 days in season. Closed Sunday & Mondays in winter. The State of Maine Cheese Company has been making cheese for 15 years in Rockport, Maine and is also home to the Rockport Marketplace where many Maine-made food products like chocolates, jams, wines from all of the Maine wineries and other made in Maine products are sold. The inn has set up a standing tour of the cheese production area on Tuesdays at 11am for the summer season or we can help set up another appointment. Let the innkeeper know if you would like to attend. The store hours are 9-6pm Monday – Saturday year round. 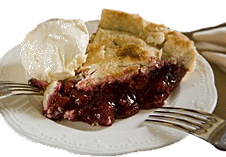 Stonewall Kitchen has been creating Maine made jams, jellies, condiments and specialty products since 1991. Enjoy some samples, check out the newest items and create your own “Made in Maine” basket as a souvenir. Since 2014, Rockland has been home to Bixby & Co., which produces handmade candy bars with organic fruits and nuts. Their candy bars are all natural or organic and free of GMOs. Products use only Rain Forest Alliance Certified chocolate. Yummy! Their products are available at Hannaford Grocery stores, LL Bean, and many other locations. They offer tastings and tours daily in their Rockland location. Open Year Round. Hand-crafted, small batch coffees, predominately from sustainable and organic farms, have been roasted in Rockland since 1999. They roast Monday through Friday and invite people to watch the process or just enjoy a cup of coffee. Open Year Round. Opened late summer 2015, this specialty market and grocery store features hundreds of Maine made products, produce and specialty foods. They also offer made to order smoothies, juices and salads. The Good Tern grocery store specializes in high-quality organic foods and health products that support local farmers and food producers. Open daily year round. Fresh off the Farm is a full service grocery store that specializes in natural, local and organic products including bakery, pet food, and cleaning products with a huge homeopathic health section. Open daily year round. Charming country upscale grocery store with custom-cut meat, wine, local micro-brews, cheese and baked goods. Open daily year round. There are no longer State Liquor stores in the State of Maine. Most convenience stores, pharmacies and grocery stores can and will sell a selection of beer, beer and wine or beer, wine and hard liquor. The Wine Seller offers a nice selection of wines both local and around the world. They have a very knowledgeable staff that will gladly help you find a wine that fits your taste and your budget. Wine Tastings are offered throughout the year. New for 2016, they offer a great selection of artisan cheeses and breads. Open year round. Rockland Food Service has the largest selection of beers and ales around with over 341 different types. Open year round. Small family owned and operated lobster and fish market that has been recognized by the locals year after year as the best in the area. They cook lobsters to go in the store or pack and ship lobsters to go. Shipping lobsters to go and offering a year round seafood market with live lobster, fresh seafood, smoked Ducktrap products and beer and wine.